Wondering where to bring your little ones during the coming March school holiday? 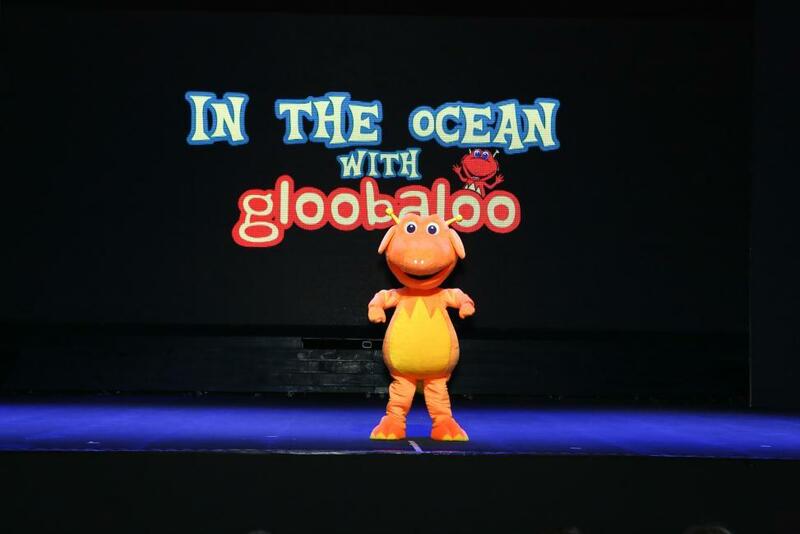 Gloobaloo is staging his 2nd musical performance at Kallang Theatre. The school shows run from March 11th - 15th 2013 with only ONE PUBLIC SHOW on 16th March 2013 at 10am. 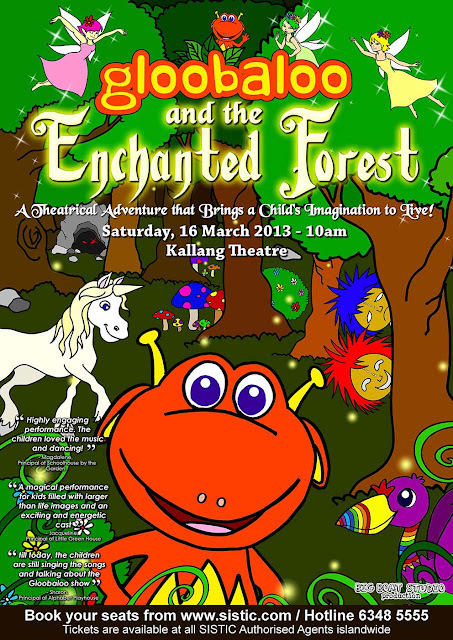 It is time to unleash your imagination as Gloobaloo and his friends bring you on a musical journey into the Enchanted Forest. In a performance filled with original songs and energetic dance choreography, get ready to meet the amazing creatures that live in this mystical place! Gloobaloo and all his friends are in search of the Fire fragon that is destroying the plant life in the forest. Together with Chirpy and Grumpy, the wacky twins, Gloobaloo will make new friends with the friendly and playful bird, Wikki Zikki, who has feathers as colourful as the rainbow. Watch the graceful mushroom fairies prance and dance, meet the ageless unicorn who is the guardian of the forest! Come journey with them and see how this exciting story unfolds. Gloobaloo will unleash your child's creativity through exploration of dance & music melody & rhymes! It will be a high energy musical performance to entertain children, promoting language development through lyrics and motor skills with choreographed movements. Book online at www.sistic.com.sg or at SISTIC Appointed agents. A pair of tickets will be given away to 1 lucky winner! The lucky winner will be announced on 25th February 2013 on this blog & notified by email. Good luck! Disclamer: We received complimentary tickets for the show, all opinions are of our own. Hope that we can win! :) Thanks for hosting! It would be my boy's 1st Theatrical experience. Thanks for the chance. Yippee ! Wana b a winner too ! I hope to bring my son to see Gloobaloo! PLEASE let me win the tickets, desperately need to find some entertainment for my children this March holidays! Me! Would love to win the tickets! A great way to start our 1st experience! Thanks for hosting! if i win this pair of tickets, it will be a double wonderful experience for my 3 years old because march is her birthday month!